Life is here, now, today!. You are the author of your fairy tale. ← Attachments, Letting Them Go. I love the feeling of being standing in the green side of the road, the feeling that you have when you think everything is the way it should. The feeling of delight when little things make your day, like winning a raffle, or the tickets to a concert. Is like being in love the first days, or months, or years, It’s the time that think your partner is perfect and you don’t need anything else as long as you are together. Well, today is one of those days, and I would like to thank Vironika Tugaleva for nominating me in her blog Authentunity, for the Very Inspiring Blogger Award. I’m really thankful, you made my week!. By accepting the nomination I agree to share 7 interesting things about myself, so here we go, I do hope they are interesting. 1) The hardest thing to do for me is to speak about myself, I have always thought that I can simply go unnoticed. 2) I like to exercise because a good workout clears my mind when I had a hard day at work, or when I disagree with my husband, or I’m upset with the kids. Really, there is no room for more fight after all the energy is drained with exercise. 3) I think children are magical creatures, nothing makes my hearth crunch more than hear them cry. If I could have one wish granted it would be that all children were happy, healthy and taken care of. 4) I feel sad when I see dead animals on the road, usually I find squirrels and possums, and other times bunnies, skunks and even a raccoon one time. I feel we humans, are invading their space, we are the ones putting them in danger. 5) I always try my best, I put my heart in everything I do, I like a job well done. 6) I love hiking, specially when the trail leads to a waterfall. 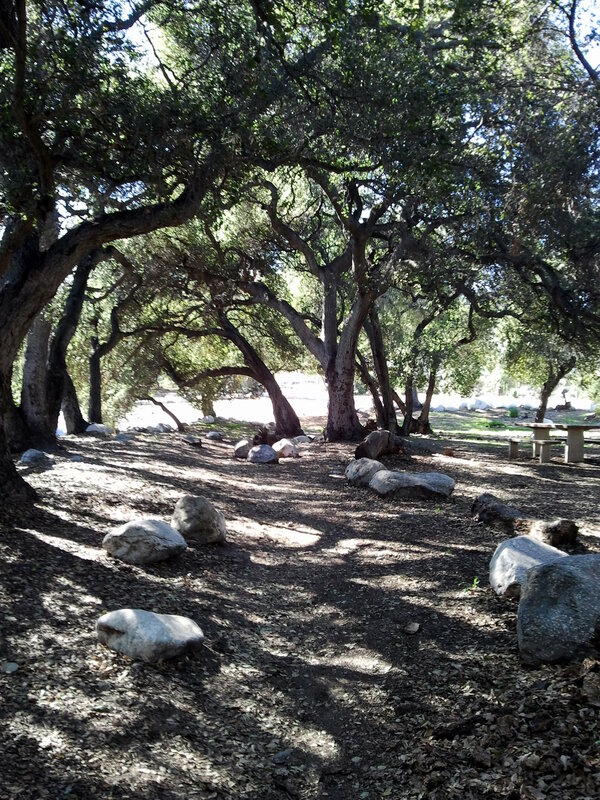 I love being surrounded by the trees and the leafs crunching at my feet. There everything seems peaceful and in balance, everything is where it’s supposed to be. 7) I love books and one of my favorite places to be is in a library, I’m amazed at all the free events that are offered there: concerts, magic shows, cooking classes. I love taking my kids to story time and do a craft afterward. 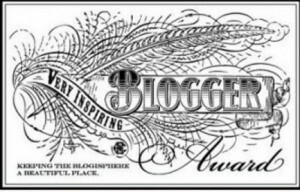 Another rule that comes with this award is to nominate other blogs, and I know there are wonderful ones out there that I haven’t met yet, and even Hands Free Mama, PluginId and Good Reads with Ronna are my favorites, I have the feeling that they have several awards already. 1) Supermilkmama by Ester Perez. 2) Sorrygnat, World Citizen by Ester Bradley-DeTally. 3) Canadian Hiking Photography by Patrick Latter. 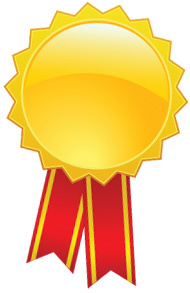 Finally I would also like to mention a great blog who has several awards already: Love Out Loud. And, that’s it, I can’t believe this was so hard to do. 3. Share 7 interesting things about yourself. 4. Nominate 7 bloggers you admire. 5. Leave a comment somewhere on the seven blogs to make them aware of their nomination and the awards requirement. Thanks again Vironika for the honor, and the readers that follow me. Also thank you to all the people who blog, because what you write inspire others, making the world a better place one word at a time. 4 Responses to Great Blogs, Good Surprises!. Such sweet surprise to receive this award 🙂 Thank you! After reading a bit about you here..I can say we are so similar in our empathetic ways. So nice to get to know you better. May this be the start of something special. I believe that like attracts like, and yes, I would love to keep in touch with you. Want more posts in your inbox?. Subscribe now, its Free!